Watch This 75-Minute Session - For Free! Session Description: Starting in 2014, insurance and financial professionals can convert life insurance policies to pay for LTC. Learn what kinds of life policies qualify and what types of care are covered. Understand how to identify prospects and convert them to income in 30 days. Chris Orestis is CEO and co-founder of Life Care Funding; a nationally known senior care advocate and 18-year veteran of both the life insurance and long-term care industries. He is the author of the book "Help on the Way", and is a legislative expert, featured speaker, columnist and contributor to a number of insurance and long term care industry publications. His blog on senior living issues can be found at www.lifecarefunding.com/blog. He can be reached at (888) 670-7773 orcorestis@lifecarefunding.com. Founded in 2007, Life Care Funding (LCF) specializes in converting the death benefit of an in-force life insurance policy into a Long Term Care Benefit Plan to cover the costs of Homecare, Assisted Living, Memory Care, Skilled Nursing, and Hospice. LCF is the originator and market leader of this innovative approach to funding Senior Living and Long Term Care. Thousands of Senior Care providers and advisors offer the LCF program to families' across the United States. LCF's national education campaign has brought awareness about the important financial options for long term care to millions of people across the country. Get the sales and marketing skills you need to succeed selling long-Term Care Insurance. A special package of 5 of the Top-Rated sessions from the 2014 LTC Sales Summit. Video presentations with synchronized slides. 1-year access. Get this on-demand streaming access to all conference sessions from the 2014 SALES SUMMIT. 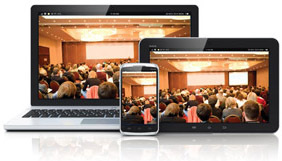 Slides with synchronized live audio, and video of presenter for most sessions. 1-year all conference access.